O-Ring Seals – Allied Metrics Seals & Fasteners, Inc. The seal compresses between the two machinery components and prevents the loss of fluid or gas. O-ring seals are components in pressure systems, in hydraulic lifts, aircraft lubrication systems and automotive joints. O-ring seals are used to make dynamic seals on reciprocating or rotating machinery, including pistons, cylinders and rotating shafts. When the o-ring is working as a seal between two moving pieces, such as those just described, a lubricant is necessary to protect the o-ring from quick and steady deterioration. 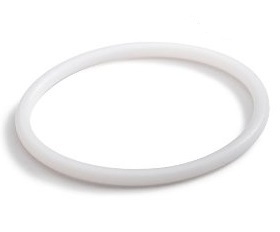 Other protective measures for o-rings include a thin Teflon sleeve, since its strength can protect a weaker but more flexible rubber from wear and corrosion. 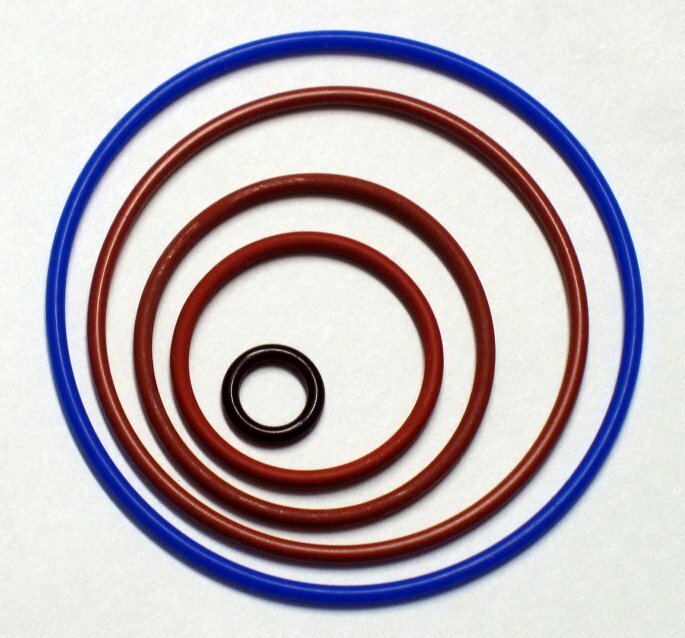 O-ring seals can sustain a wide range of pressures, temperatures and tolerances. Depending on the material they are made of and the industry they are employed in, their working lives differ in length. Aviation, automotive, aerospace, food and beverage, chemical processing, water treatment, industrial manufacturing and oil refineries are all industries that make steady use of o-rings and the products that require their seal. The production of o-rings is simply heat, mold and cool, although a few styles require curing or die cutting. Such a simple product is never-the-less complex in its precise and useful design that is very important to many industries. O-rings are generally made from a flexible material such as rubber, like silicone, Viton, neoprene, polyurethane, and ethylene-propylene. For certain specific applications they can be made of hard, rigid material like Teflon. Metal o-rings are also available, often made from copper, steel alloys, gold or aluminum. These metals are also used to fill the gaps in plastic o-rings, while the plastics are used to fill in space in the metal o-ring fabric. In order to maintain a consistent and reliable seal, o-ring material must not become brittle or rigid under low temperatures or melt under high heat, which could result in serious machinery damage and malfunction based on gas or liquid leaking. O-rings are fabricated specially to be able to withstand serious temperature and pressure. Because abrasion against the walls of the machinery may cause O-ring failure, the contacting surfaces should always be polished around the seal. O-Ring Seals O-ring seals are the air and water tight connectors placed between two pieces of machinery. The round elastomeric O-ring sits in a gland, which is a groove in the metal part designed as a cavity to keep the O-ring in place.